Tube Amplifier "Прибой" / Priboi. 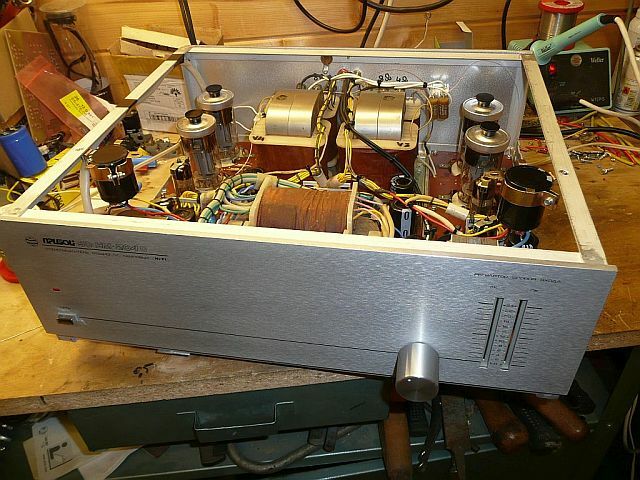 Resurrection of old russian tube amp. Feedback: utilizes combination of Voltage Negative Feedback and Current Positive Feedback. A hint of Positive Feedback helps to control hard-to-drive multi-band speakers. ГУ-50 tubes are widely available and therefore is no more problem with getting spare tubes.